New Obamacare rules from the Department of Health and Human Services (HHS) go into effect January of 2014. In the world of company health plans, Orriant moves to the front of the pack with their existing compliance to the new regulations. As a leader in corporate health, Orriant takes pride in offering programs that lower employee healthcare costs while simultaneously boosting employee morale and productivity. The wellness incentives, through Orriant’s company health plans, are proven and measurable. Participants are experiencing wellness incentives such as weight loss, reduced cholesterol, and fewer sick days. 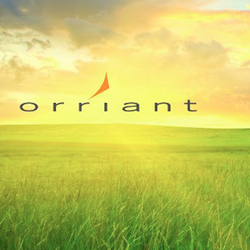 With these benefits, Orriant is attracting the attention of businesses across the nation. The newly finalized Obamacare regulations have put many of Orriant’s health program competitors on the sidelines. Other wellness companies are scrambling to be compliant with the new rules while Orriant is growing their customer base. Orriant’s compliance with the federal regulations and proven methodology to the cost of individual healthcare is filling a need for businesses in all industries. Orriant’s results-driven corporate wellness programs are unique amongst health programs and often result in lower employee healthcare costs. Participants are held accountable for their efforts to make healthy eating and exercise decisions. All participants are paired with an Orriant Health Coach who works with each individual to set reasonable yet challenging goals. Orriant Health Coaches take the time to understand the personal goals of each one of their clients. Wellness incentives such as weight loss and reduced blood pressure are a part of the goal making process. The support and experience that comes with each Orriant Health Coach is critical. All Orriant Health Coaches have a minimum of a four-year degree in a health-related field and have passed a robust Orriant training program. The advantages of Orriant over other corporate wellness programs are apparent in their statistics. Orriant boasts an average participation rate between 70% and 90%, where as other health companies have only 15-20% participation. Companies in all 50 states are taking advantage of Orriant’s compliant company health plans. Orriant customers are boasting about their lower employee healthcare costs thanks to Orriant’s results-driven programs. As 2014 approaches, more business leaders are asking Orriant how to tackle soaring healthcare costs. Orriant’s compliance to the new federal regulations is just one of the many reasons to find out how your company can benefit from Orriant’s accountability-based programs. For more information about Orriant, visit http://www.orriant.com/.